Information Minister Dr Hasan Mahmud on Tuesday urged all political parties to discard negative politics in the interest of nation building as he joined a discussion to mark the Independence and National Day. “Let’s come, we work together to build a developed and prosperous Bangladesh being imbued with the spirit of the Liberation War,” he told at the Department of Films and Publications (DFP) discussion chaired by its Director General Mohammad Ishtaque Hossain. 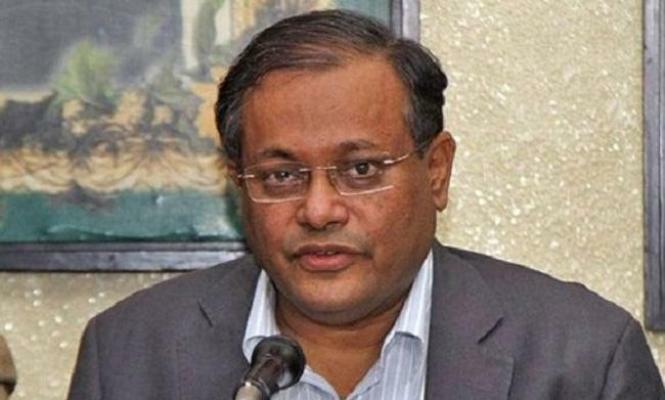 He, however, criticized BNP Secretary General Mirza Fakhrul Islam Alamgir’s comments on the eve of the day, saying the party’s politics were now visibly stuck on the issue of releasing jailed BNP chief Begum Khaleda Zia who was convicted by a court.